A former police officer’s new job is a gem. Sitting at a jeweler’s bench, Earll Bean looks through the lens of his magnifying visor and carefully saws tiny grooves into the surface of a meticulously crafted gold ring. For the next several hours, he will touch beautiful gemstones, pound metal into a desired shape, and use interesting tools such as a propane torch. 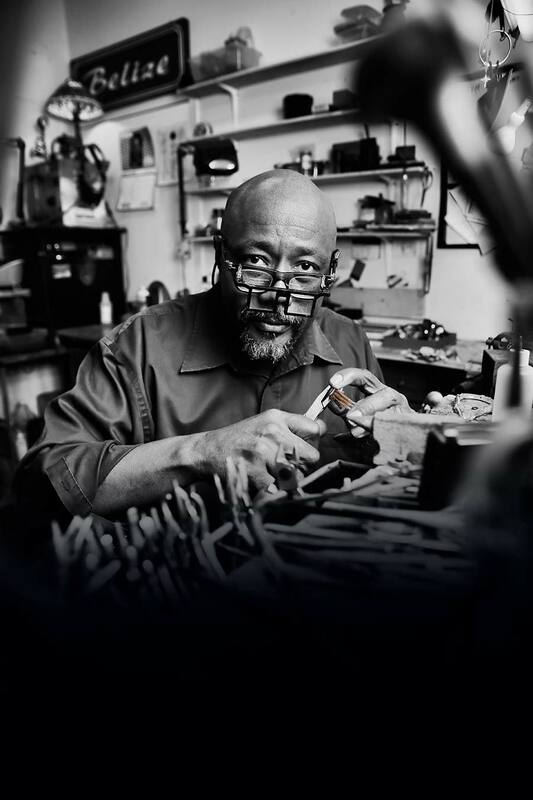 The bench is a favorite spot for Earll, who is immersed in an old and steadily fading art form—goldsmithing. 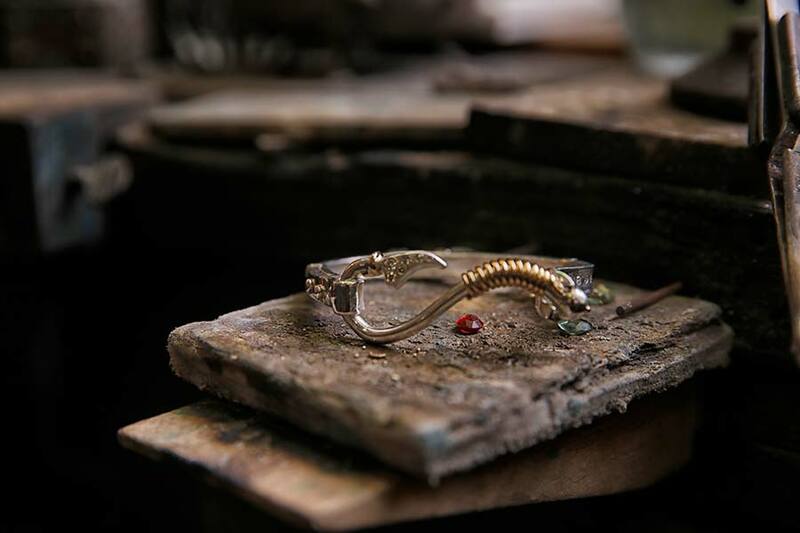 The budding artist forges metal and gems into a variety of shapes and sizes to make rings, necklaces, charms, bracelets, and other wearable jewelry. Creating sublime jewelry for clients who appreciate its unmatched feel and look is a challenge he openly embraces. Earll became intrigued with goldsmithing 10 years ago while an officer with the Leesburg Police Department. During his lunch hour, he visited Jeff Clark, a master goldsmith who owned a jewelry shop at 2403 W. Main St. Jeff, the mentor, passed down his skills and closely guarded secrets to Earll, the apprentice. So incredible that Jeff recently handpicked Earll to inherit his business and continue his legacy. The timing was ideal for Earll, who retired last December after 30 years with LPD. For goldsmiths, it is also a privilege to give back to the community. Earll donates some of his pieces to nonprofit organizations for auction at fundraisers.